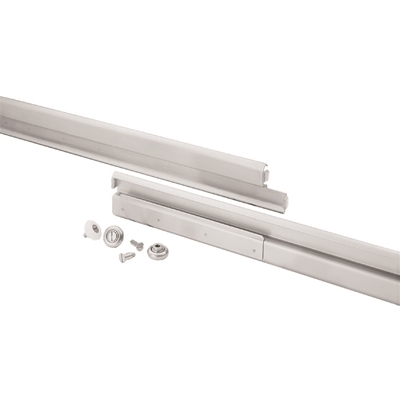 Heavy Duty Drawer Slides - S52 Series - Stainless steel - Full extension - With Delrin bearings - 22"
Home / Products / Cabinet Hardware - Commercial Catering Equipment / Drawer Slides - Heavy Duty / S52 Series - Stainless steel - With Delrin bearings / Heavy Duty Drawer Slides - S52 Series - Stainless steel - Full extension - With Delrin bearings - 22"
> Back To Heavy Duty Drawer Slides - S52 Series - Stainless steel - Full extension - With Delrin bearings - 22"
Please order by 4pm for next day delivery. Timed and special deliveries can also be arranged. Items can also be collected. We accept credit card, BACS transfers and Paypal payments. Please check delivery before signing. If damaged, either refuse delivery or sign DAMAGED. Incorrectly ordered goods need to be returned to us and will incur a 20% re-stocking fee. 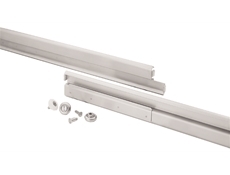 Heavy Duty Drawer Slides - S52 Series - Stainless steel - Full extension - With Delrin bearings - 20"
Heavy Duty Drawer Slides - S52 Series - Stainless steel - Full extension - With Delrin bearings - 24"
Heavy Duty Drawer Slides - S52 Series - Stainless steel - Full extension - With Delrin bearings - 26"